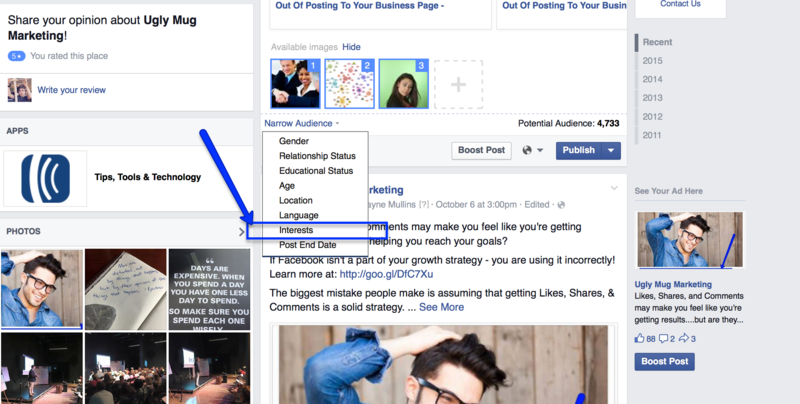 Organic Facebook posts are one of the most powerful (and simple) tools you can use to establish your business as the authority in your industry. And the best part…they’re FREE! But if you’ve been on Facebook for any length of time, then you know your Facebook posts now only reach a fraction of the people they use to reach. WHY? So in effect, Facebook says they only want to show your posts to people who are likely to be both interested and engaged in what it is that you’re sharing. If you have a significant number of “Likes” on your page, continually posting content that ALL of your audience will find interesting and engage with can be a major challenge. Your audience is very diverse. Some are local. Some are national. Some are even international. And even though they all like your page…they have a very diverse interests. What can you do to ensure that your posts are relevant to your audiences’ interests? 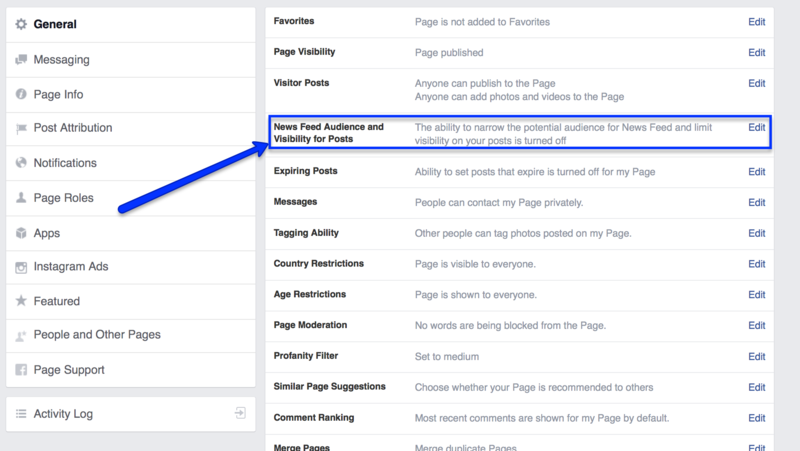 Did you know Facebook gives you the ability to target your organic Facebook posts based on your audiences’ interest? This is a power way to increase engagement to a Facebook page. Let’s take a look at how to increase engagement on a Facebook page by targeting your organic posts. 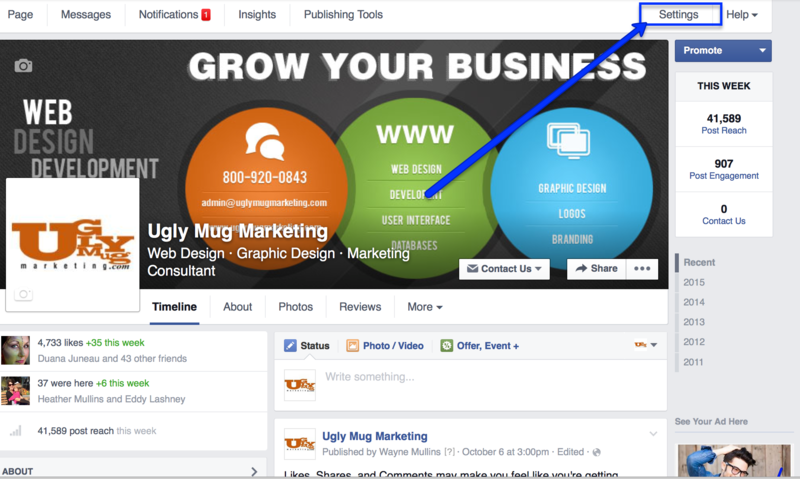 You’ll want to click on the Facebook Settings tab in the top right of your page. 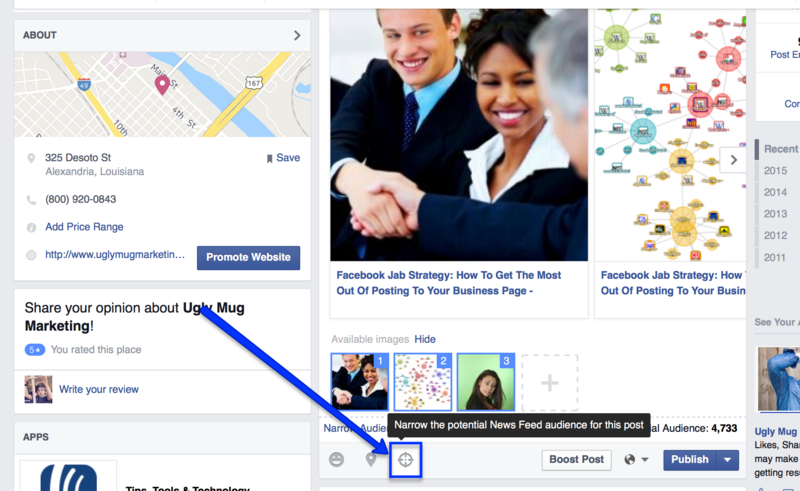 Next you’ll want to click on News Feed Audience and Visibility for Posts. 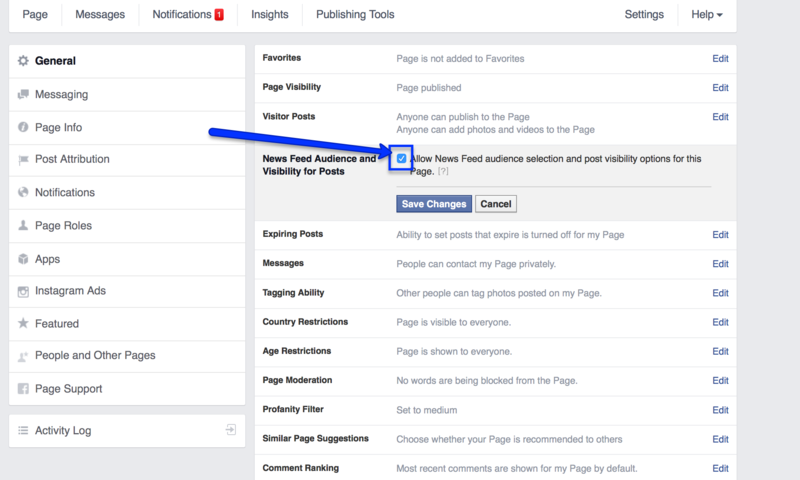 Then simply click the check box to allow news feed audience selection, and click Save Changes. Now once you navigate back to your Facebook timeline you’ll see the audience targeting icon has appeared. 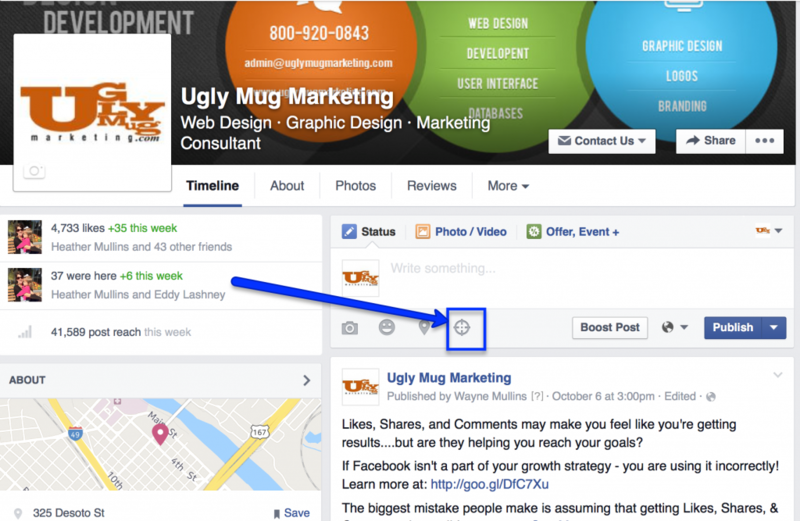 Now it’s time to write your Facebook post. As you’re writing your post you’ll notice the Facebook Audience Targeting icon has appeared. Once you have your post written, then click on the Targeting Icon. 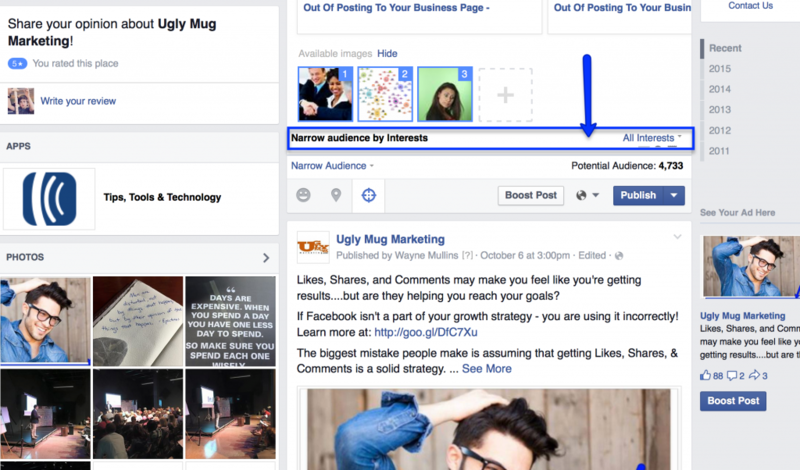 Now it’s time to start narrowing your potential audience. As you select from these various options, you’ll notice your potential audience size continually decreases. When you click on “Interests” you’ll notice another line appears. Next, click on the “All Interests” link. 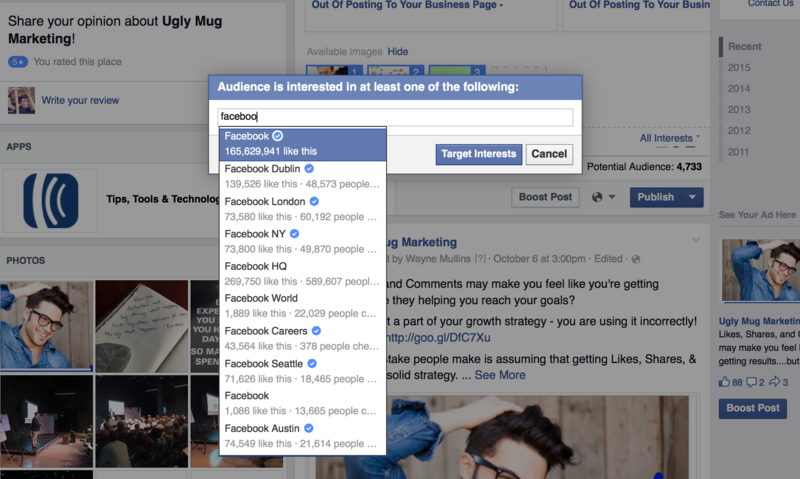 This will open popup a screen where you can start typing in the interests you’d like to target. 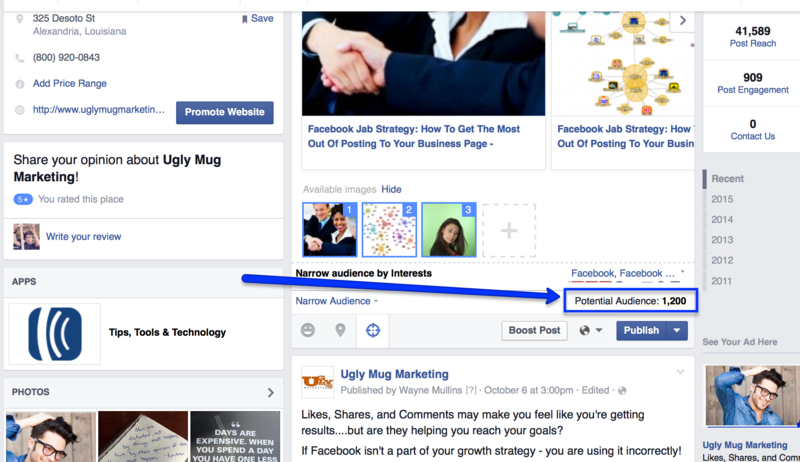 In this example, I’m going to target people interested in Facebook and social media marketing. 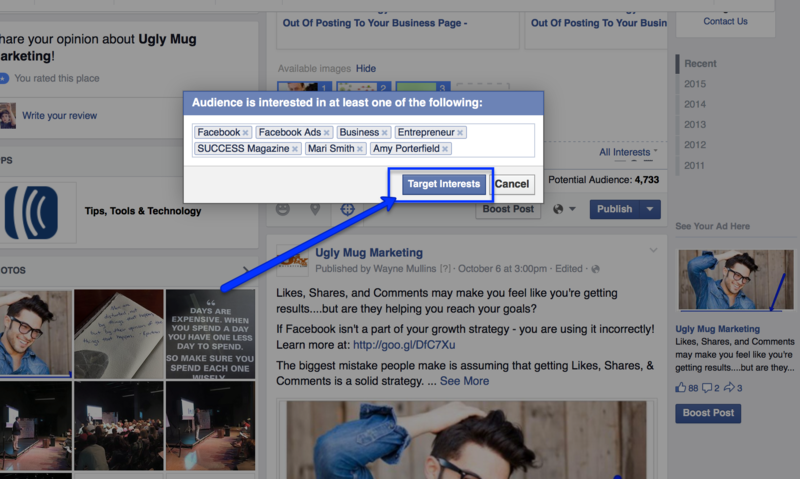 Once you’ve entered all the interests that you’d like to target, click on Target Interests. You’ll notice that now our potential reach dropped from 4,733 to only 1,200. This means that once we publish this post, only about 1,200 of the 4,733 people who like our page have the potential to see this post. Why would you want to reduce the number of potential people who see your post? 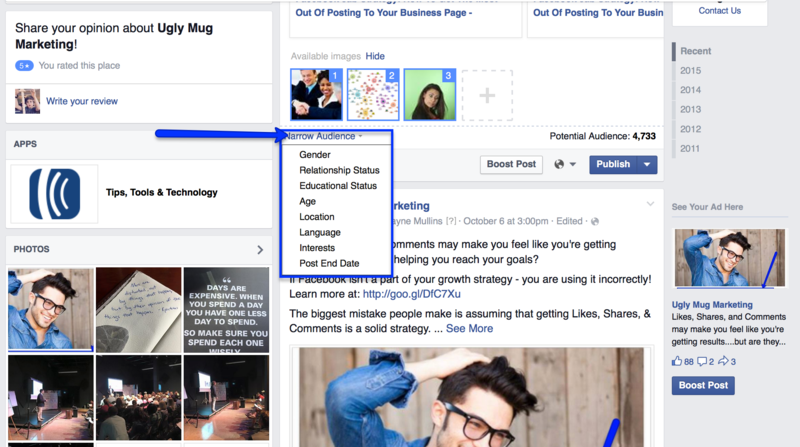 As we talked about a little earlier, Facebook is now rewarding people for posting content that is relevant – and by narrowing your audience you are able to drive up the relevancy of each post. Based on their interest, I know these 1,200 people have expressed “interest” in social media and Facebook strategies. And that’s exactly what this Facebook post, and the article it links to, is about. 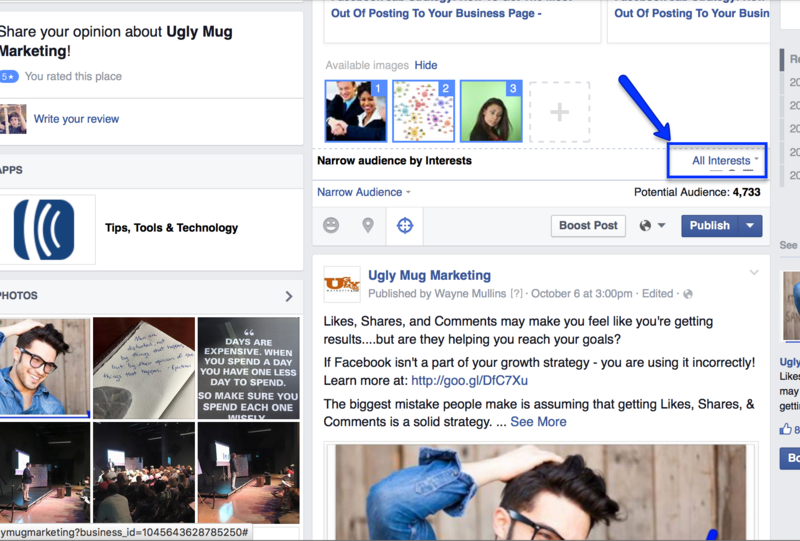 When you start using this organic post targeting strategy, you’ll know how to increase engagement on a Facebook page. 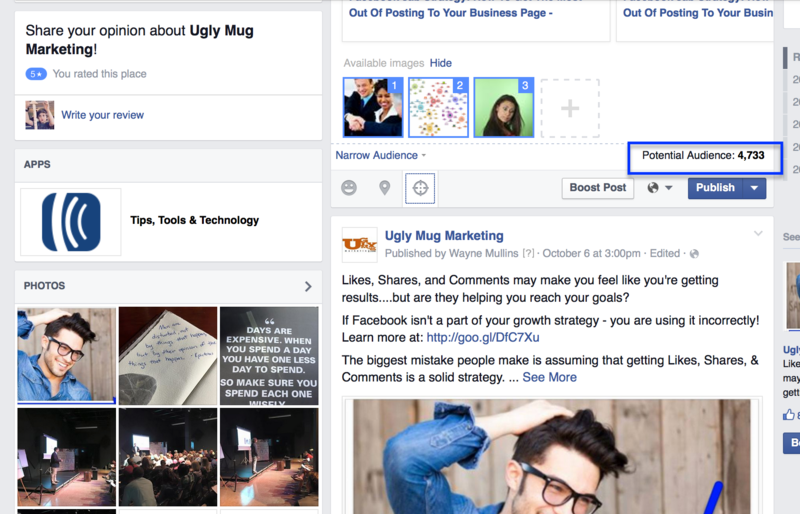 Over time you’ll see that your organic targeted posts out perform your un-targeted posts. Although reducing the potential reach of your post seems counter intuitive (like not clicking the Boost Post button), you’ll find higher engagement with each post.